Mr. Yaron Liberman, is a professional schooled in Switzerland and US where he started his career at the Essex House, Waldorf Astoria and Turnberry Isle Resort in Florida, returning home to join Sheraton Tel Aviv and Inbal Jerusalem. He has a great passion for the finer details and people. 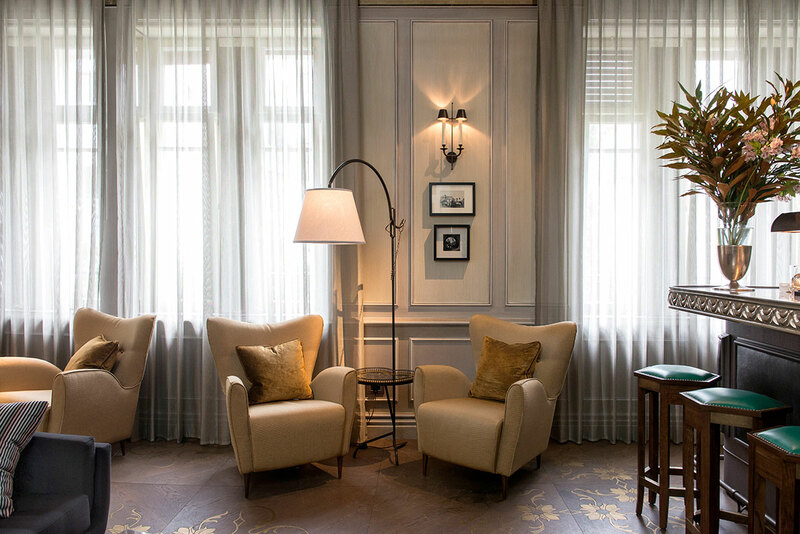 Luxury Boutique Hotel, Small Luxury Hotels of the World. 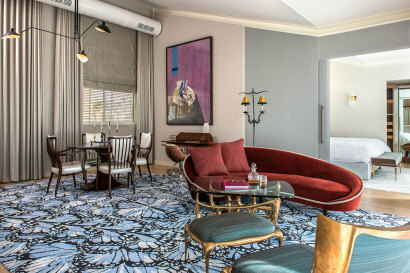 The Norman Tel Aviv will bring unprecedented sophistication and boutique character to the historic Mediterranean city. 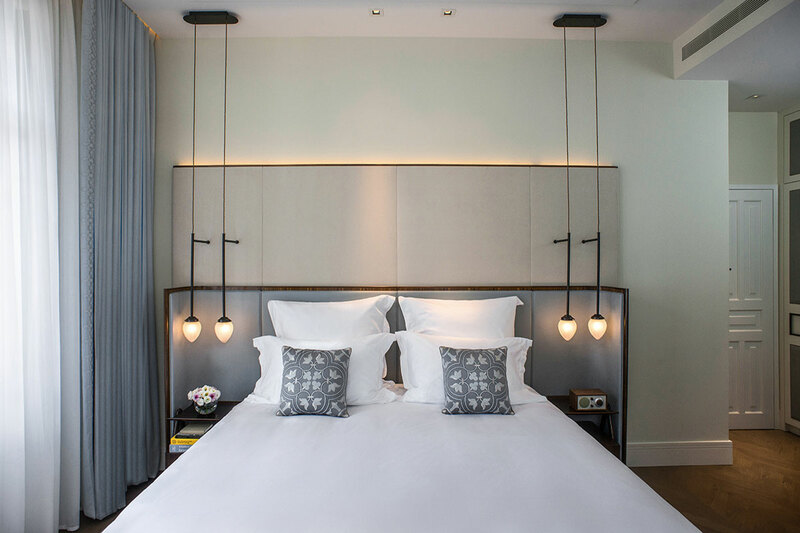 Situated in the heart of Tel Aviv, The Norman will redefine the art of hospitality, capturing the timeless elegance of the 1920’s matched with the comforts of a world class luxury hotel. 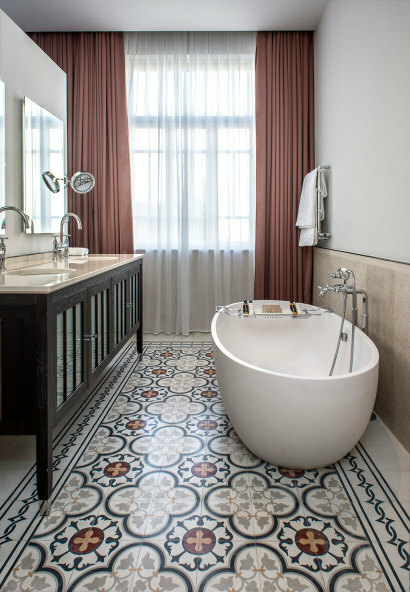 The Norman Tel Aviv incorporates antique elements from the original interiors of the historic buildings, blended with hand-picked textures and materials to create a rich design tapestry inspired by the prestige of yesteryear. A romantic nod to a bygone era, The Norman reflects the luxury and style of the grand hotels of the early 20th century, featuring 2 world-class restaurants, displays of original Israeli artworks, an elegant Library Bar, and a range of luxury facilities and services, with The Norman’s signature excellence. 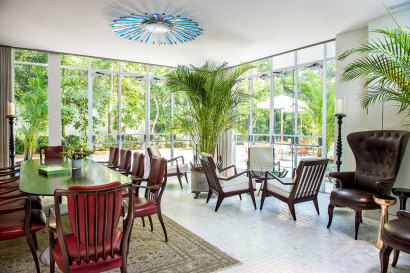 Boutique hotel with grand hotel facilities including parking facilities, rooftop infinity pool, a lovely citrus garden in the center of the city, Interior design reminiscent of turn of the century, highest standard of services & facilities, variety of dining facilities with different cuisine, the suites size & diversity in the offer. 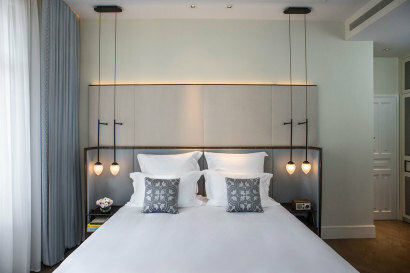 The Norman is a child friendly hotel. From the arrival experience where our children will be welcomed in-room like parents, they will have their own ‘All about me’ form and toy box, dedicated menus, activity & colouring place mat and welcome gift. 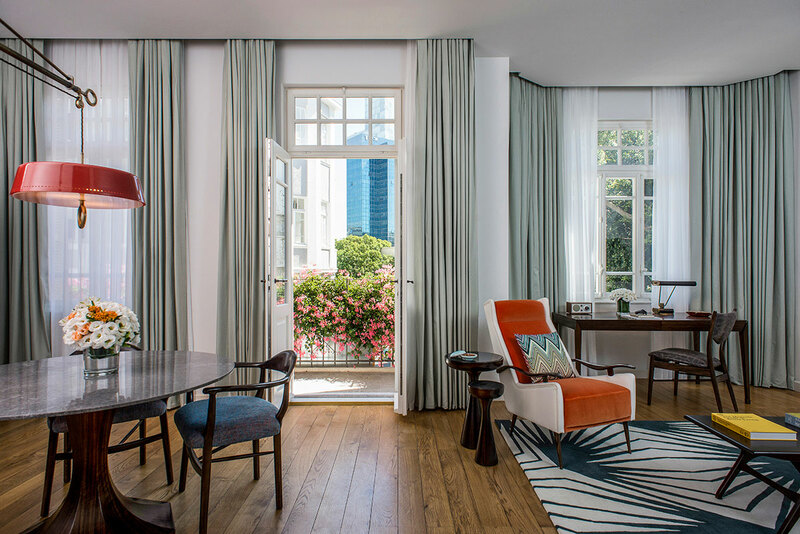 Discover your own private sanctuary, a world of Tel Aviv suites and contemporary rooms featuring sublime elegance and outstanding comfort. 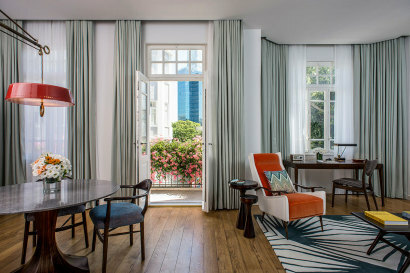 The Norman Tel Aviv is a superb selection of 50 unique luxury accommodation choices, housed in two iconic restored buildings. The main building at 25 Nachmani St features 30 individually designed guestrooms. At 23 Nachmani St, the all-suites building offers a choice of 20 magnificent one-of-a-kind suites, filled with historic character. 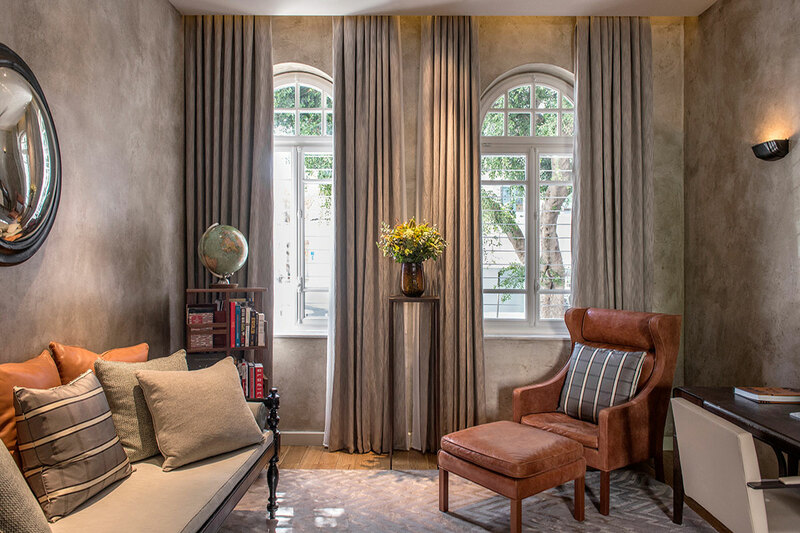 Guestrooms and suites at The Norman Tel Aviv are a perfect blend of old and new, featuring antique charm and contemporary technologies, such as state-of-the-art multimedia systems. 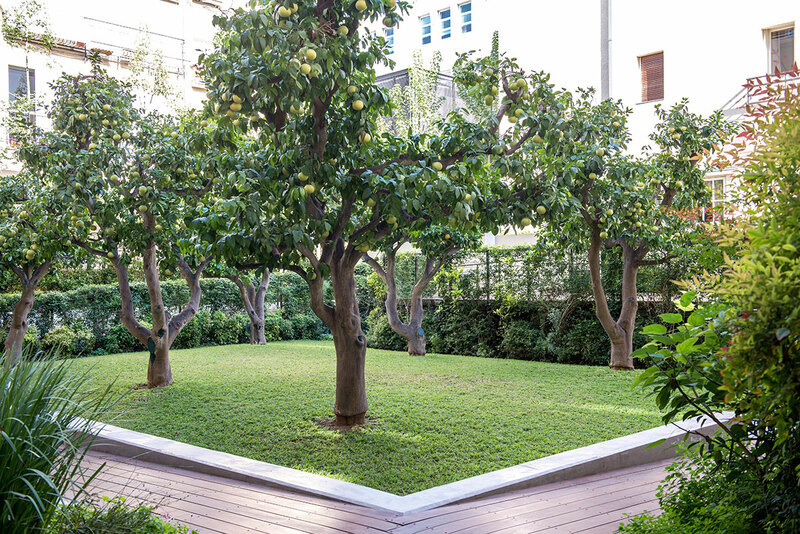 Situated between the buildings is a fragrant citrus garden, a haven of pastoral calm in the heart of the metropolis. 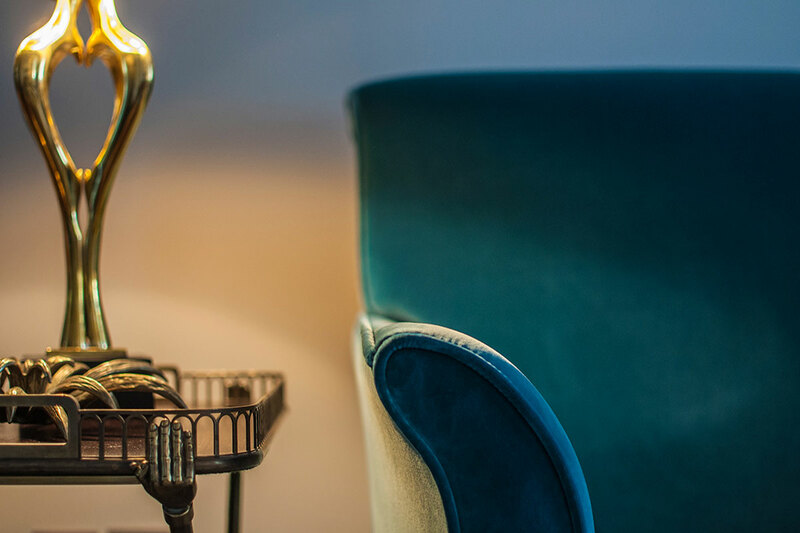 All residents of The Norman enjoy complimentary services at their leisure, including Wi-Fi access throughout the hotel, business services in the Study, shoe shine service, beach shuttle and mineral water, replenished each day. 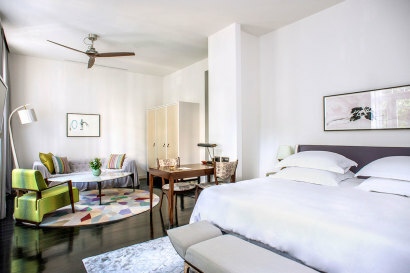 The suites feature a balcony or garden access, a large bathroom with bathtubs and large rooms ranging from 47m² to 250m². The unique penthouse suites (2) are extraordinary with stunning views, large terraces and living areas equipped with a kitchen, a bar, dining and living rooms. A French Mediterranean menu inspired by cuisine Niçoise, from the Old Town of Nice near the Italian border, featuring a strong Italian influence will serve 3 meals including Room Service and smaller events held in the hotels’ gardens. An elegant 1940s colonial style bar. 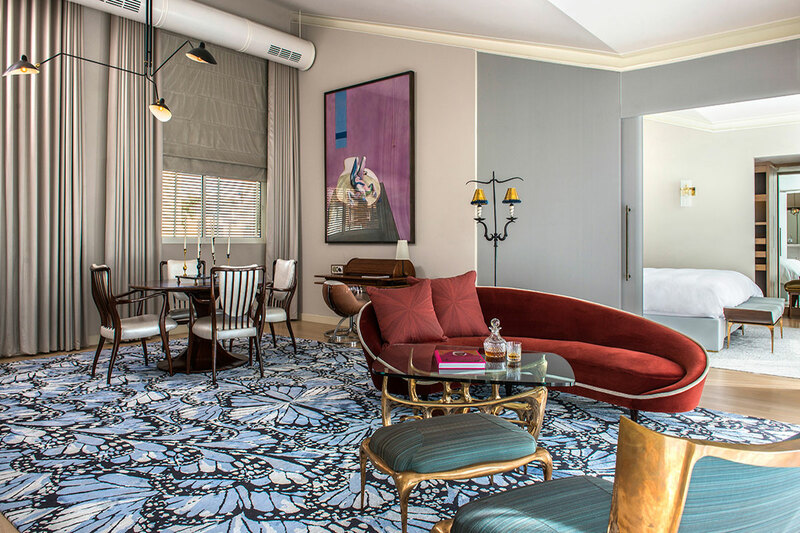 Enjoy the sleek ambiance of modern high-tech conveniences such as you sip one of our classic cocktails, whiskies and cognacs at the pewter-topped bar. As the sun sets, the Cocktail Bar comes to life, with late night entertainment from our in-house DJ and live performances that draw locals and tourists alike. A unique fusion of traditional Izakaya-style Japanese Tapas and modern European cuisine, presented with flair in an informal setting.The central sushi counter and open kitchen creates interaction with guests, while the terrace dominates fantastic city-scapes acts as a lounge and extension of the interiors. The Wellness area is open daily from 10:00 am to 7:00 pm. 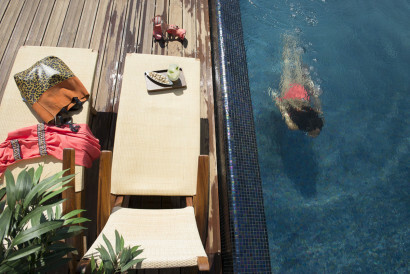 • The Infinity Rooftop pool and sundeck are located on the rooftop and is open from 7:00 am until sunset, with a lifeguard constantly on duty • The Gym is located on the 3rd floor, providing guests with the opportunity to use the latest fitness equipment 24-hours a day. Personal training can be arranged. • Treatments are made available by choosing a perfect massage from our selection of body treatments including Swedish massage, stone therapy, reflexology, and aromatherapy. A well-appointed treatment room is available for the convenience of guests, as well as outdoor massage treatments on the private wellness terrace. • Yoga a part of our wellness offer: Those seeking mind-body discipline and a chance to commune with nature can meet with our in-house yoga instructor, who holds sessions in the Tower Garden (contact the Concierge for a schedule).